It’s been wonderful to see the children return with such enthusiasm. I am delighted with the way the new pupils have settled into life at Red House and the way they have been welcomed by the other pupils. We were delighted with the GCSE results this year. 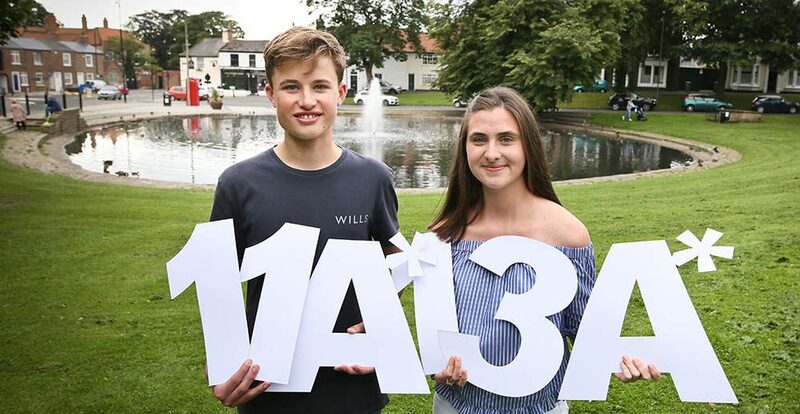 You will have seen the headline stories: in particular Kate achieving 13 A*s and Sam achieving 11A*s including an A^ (equivalent to an A**!) in Further Maths. I am so pleased for our former Head Girl and Head Boy who worked incredibly hard whilst contributing to all areas of school life. However, I also think it important to highlight those pupils who over-performed without achieving top grades. We are a selective school – and will remain so – but not all pupils find academia easy. Their achievements, whilst not our headline story, demonstrated the effect of a good deal of determination and hard work by pupils and staff. We wish the class of 2017 the very best of luck in the next stage of their education. Mrs Julie Gresswell has joined Red House as Head of Science. Julie has returned ‘home’ from another independent school in the south and I’m sure we will benefit from her vast experience of teaching Physics through to A level. Mr Mike Bellew has also joined us as Premises Manager and I know he will use his thirty years’ experience in education to ensure we make the very most of our lovely campus. Claire Thompson has started her new role as Head of Prep (Years 4-6) with her usual enthusiasm. Mrs Gill Summers, the new Assistant Head in the N & I School and Miss Nicola Warnock, our new Head of Key Stage 1, have also made tremendous starts. Mrs Lara Roberts is our new Head of Teaching & Learning in the P & S School and she has handled the challenges of implementing the new timetable with consummate ease! Thank you to the many families who came in during the holidays to collect kit. I’m sorry there was a wait at times but I hope it was worth it. The kit looks fantastic and we will be encouraging the children to look after it. Please can you label all items on the inside using labels or a permanent marker (we are no longer using the external initial badges). Reversible tops (boys) should be labelled discreetly on the navy side since we will usually be playing in red. We will be donating the old sports kit from the school shop to an overseas charity. Should you also wish to donate unwanted items you have at home (used is fine), please hand the items in at reception in the Prep & Senior School by the end of next week. You will have received information on the various clubs we are offering on both sides of the pond. I’m delighted we have been able to add new clubs over the last twelve months and we will continue to respond to your suggestions. We very much believe busy children are happy children! Plans for the next musical are gathering pace. However, we are waiting to have our performance licence confirmed before we let you know – watch this space. We are also hoping to host a Songs from the Shows evening in the second half of this term and will be encouraging the children to take part in this informal event. All staff and parents are warmly invited to a Cheese & Wine Night, with a particular emphasis on welcoming parents new to Red House to our community; further details to follow. This will take place next week and letters are attached from Mrs Blyth and Mr Haywood. Please take particular note of the uniform requirements: in short, winter uniform including blazers. Staff spent time during our INSET days listening to advice from Dave Dixon. He will be coming in next week to talk to the pupils about this important topic so please do ask the children what they have learnt. We are still trying to find a date to host a parent information evening; hopefully it will be this term. Let’s hope the sun comes out this weekend!